Our $1.29 Kitchen Table. No. 1T500 Kitchen Table. 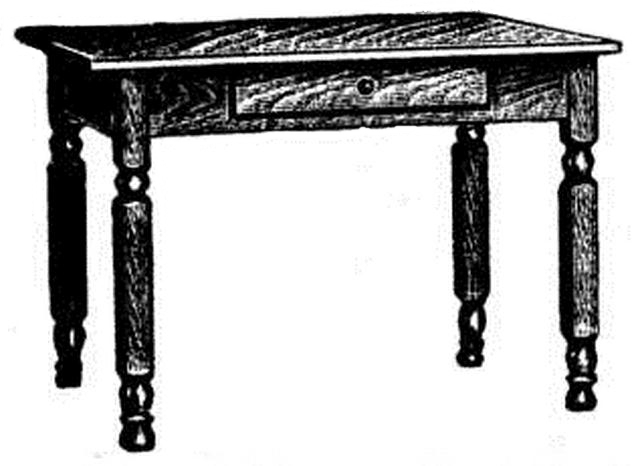 Is made of hardwood with basswood top and oak legs, has large roomy drawer. It is strongly constructed and has bolt leg fasteners. It can be taken a part for shipping, thus saving very largely on freight. This table IS a household necessity and no kitchen is complete without it. Nicely finished. Weighs about 40 pounds. Size of top, 27x42 inches.